Fallen autumn leaves benefit trees and shrubs in several ways. Woody plants live from the nutrients provided them by the leaves that accumulate around their feet in autumn. Living organisms, including microbes and earthworms, help create nutrient-rich humus by digesting organic material, such as leaf litter and other soil detritus, to feed the trees with needed nutrients. Consequently, the entire ground becomes a living, breathing, complex ecosystem, where water, oxygen, carbon dioxide and minerals are exchanged through the activity and interaction of living organisms. Leaf mulch also protects trees and shrubs from excess evaporation by blanketing the roots. When we rake or blow leaves away from trees we leave the ground bare of insulation and life and are forced to replace missing nutrients by applying inorganic fertilizers. 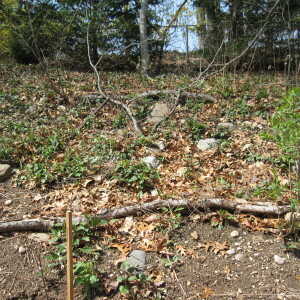 Bare ground invites invasive, light-seeking seedlings to grow. 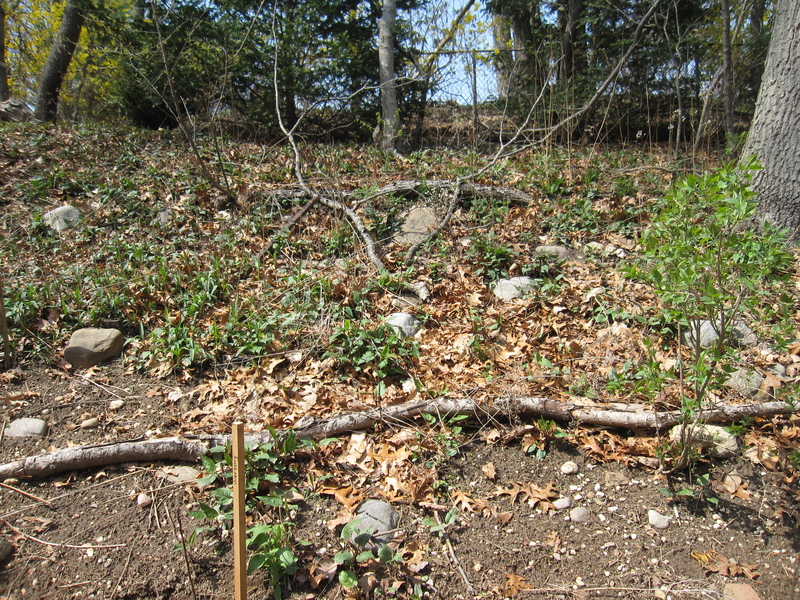 Native plants such as native asters and goldenrod, however, grow through the leaves to trap and hold them in place.